In 2007, the Apple iPhone revolutionized the way that people used phones. By 2016, 2.1 billion people owned smartphones. The introduction of the iPhone changed societal in a revolutionary way. In 2017, Apple once again tried to imprint on the smartphone market. It introduced its latest and most expensive iPhone ever. Is this new device worth your time and money? The answer is yes! Here are four ways the iPhone X is the most intuitive phone yet. One of the most intuitive aspects of the iPhone X is its sameness. Yes, the phone has historically unprecedented technologies at work. You’ll learn more about those in a moment. What’s important when you first use the phone, however, is that you don’t feel overwhelmed. If you can’t operate your smartphone, you’ll use it less. Apple understands this issue, and that’s why the new phone doesn’t reinvent the wheel. You’ll still access your phone, text messages, email, music, videos, and contacts the same way that you always have. When you buy the iPhone X, you’ll quickly forget that it’s new. Everything about the user experience is so comfortable and familiar. After only a few minutes of installation and setup, you’ll feel as if you’ve owned the phone for years. That’s a clever way that Apple’s designers have integrated popular features into new technology. You can accentuate the already great user experience by purchasing iPhone X on T-Mobile’s 4G LTE network. T-Mobile has the happiest, most loyal customers of any major carrier. This phone is an odd combination of glass and metal. Some analysts argue that the inclusion of more glass began with the introduction of the original iPhone. That sleek device emphasized the screen over the metal parts holding the phone together. In recent years, the metal bezels have shrunk in size to accentuate the display. The iPhone X is the pinnacle of bezel-less technology. Its main screen is something called an infinity display. The phone doesn’t have metal parts on the sides. Instead, the Gorilla Glass encircles the entire device. You’ll find the edges smooth to the touch. Because of the infinity display, graphics take up the entire screen. They no longer have to truncate artificially to allow for the metal sides. You get more picture, thereby enhancing the user experience. Why should this matter to you? Well, how often do you look at your phone? Each time you glance at it, you’ll have a better experience. The crisper images maximize the quality of the videos you watch. Whether you prefer movies, television shows, or viral videos, each clip will look better than was ever previously possible. The iPhone X sets a number of records for quality of screen display, and these sumptuous visuals will make the phone seem more lifelike and intuitive. What’s the most aggravating part of using your phone? It’s the time after the phone has locked. You have to use either a fingerprint or a passcode to unlock the display. It’s an aggravating process that you probably do several times a day, whether you realize it or not. The iPhone X has a smarter unlocking system. It employs facial recognition to save you the effort. When you’re ready to use your phone, you simply pick it up. The smartphone will check your unique facial markers to verify that you’re the owner of the phone. Apple says that this technology is potentially even twin-proof. Where about one in 50,000 could unlock your phone with Touch ID, only one in 1 million could unlock your iPhone X with Face ID. Best of all, the unlocking process takes milliseconds. Every time you grab your phone, it’ll start automatically. You don’t have to do anything else, and there’s nothing more intuitive than that. Just looking at your phone unlocks it! The iPhone X is a triumph of engineering and design. The four listed here merely scratch the surface of how technologically advanced the product is. You need one and should treat yourself to it. I agree that Iphone X is definitely an intuitive phone. Yes, iPhone X is the best phone out there but it is crazy expensive as well. I would o for something like OnePlus 6 or Zenfone 5Z. 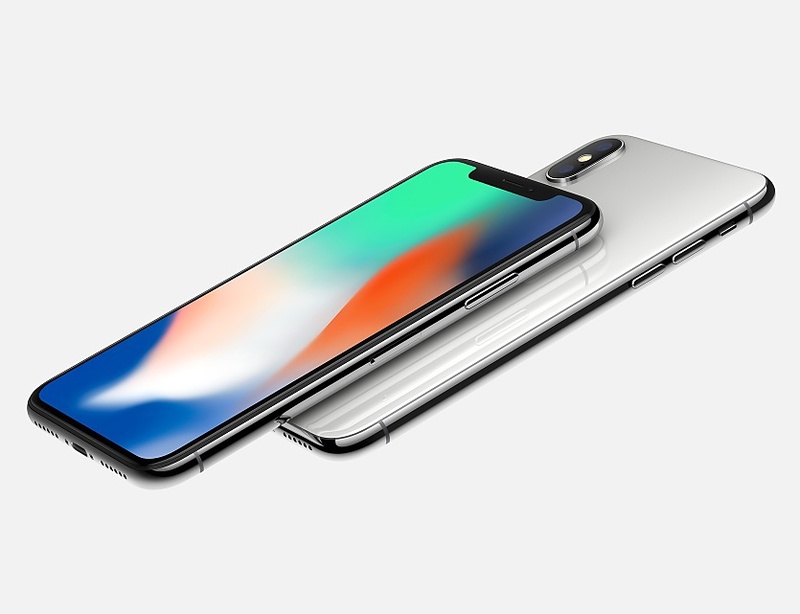 The iPhone X is the best Apple Phone available in the market. Apple continues to astonish us with its innovative design. Apple undoubtedly makes the best smartphones. I have been using the iPhone x for the last 6 months and just love the whole iOS experience. I had used many android before, they are of no match with the iPhone X.
Iphone should work on improvising the quality else one plus and MI phone are going to destroy them in the market. We have already witness serious drop in Apple phone sales. Iphone X was decent model but it was not success as it should be.